Adoption papers, identity cards, certificates of all kinds – when German officialdom meets foreign-language documents, progress generally comes to a halt until certified translations of deeds, documents and papers have been prepared. We can give you the support you need to satisfy these requirements with a full range of services extending all the way to supplementary certification by government agencies, regional courts or the Federal Office of Administration. When sworn translators certify their documents, they confirm the correctness and completeness of the translation and turn it into an official document by adding a certification statement, their stamp and their signature. Certified translations may be issued solely by translators who have sworn an oath before a German regional court. You will find sworn translators for almost all languages in our selection section. 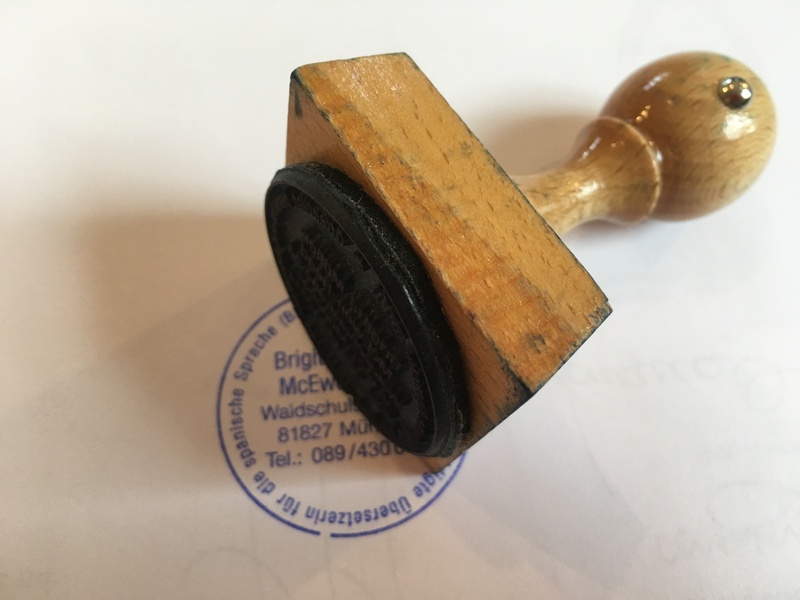 An apostille confirms the authenticity of the civil-law notary public’s signature and his/her stamp on a document and thus confirms the authenticity of the document itself. Every apostille has a unique number so it can be checked with little or no effort. An apostille is always issued solely for a specific country and is recognised only there. Generally speaking, translations prepared by our professional translators must be recertified and confirmed by the attachment of an apostille; we will be happy to help you with the required formalities. These regulations are based on the Multilateral Convention Number 12 of the Hague Conference for International Private Law of 1961; at this time, 108 countries have joined this convention. The “Hague Apostille” takes its name from this form of authentication of the genuineness of documents. We can offer you support for the certification of deeds for countries such as China, India, Saudi Arabia or many African countries that have not joined the Hague Conference. The process involves legalisation by the Federal Office of Administration and the diplomatic consulate representative of the issuing country. As in the case of the apostille, the authenticity of the signature, the position of the signer and, as appropriate, the genuineness of the stamp on the document are confirmed. You can find more information regarding apostille, legalization and supplementary certification on the pages of the Federal Foreign Office. Don’t Hesitate to Contact Us! We offer certifications, apostilles and legalisations for documents for almost every country.